London is the centre of the world's physical bullion trading. The London Bullion Market Association (LBMA) which was developed over hundreds of years sets and maintains the very highest standards in refining, documenting and storing every gold and silver bar allowed to circulate at "spot prices" in the professional market. In my view this process will provide significant enhancements to the process of setting the LBMA Gold Price. It should bring more transparency to the market. We are not claiming that banks used to meddle with the gold market, however the change is coming after a big investigation into a number of global benchmarks set behind the closed doors, like the rigged Libor. Second, more participants will be involved into setting the benchmark price of gold. There will be 6 entities providing the data used to establish the daily gold price. Five of these are Barclays, HSBC, Scotia Bank, Societe Generale and UBS, with more participants expected to join the league in the coming future. More participants should provide larger transparency. The more players, the harder to collude to set the price. Third, the new gold price mechanism may be positive for the gold prices. Why? A few Chinese banks (three of them are already LBMA members) are likely to participate in setting the gold prices. It means that Chinese clients will have a more direct influence on the international price of gold. This is important, because the Chinese are large purchaser of gold in the last few years. It is an open secret that the gold prices trade on average at higher price levels during the Asian trading hours than during the London and New York trading hours. We hope government takes an open view of enough Indian banks to participate given that India is the largest consumer and importer of gold. 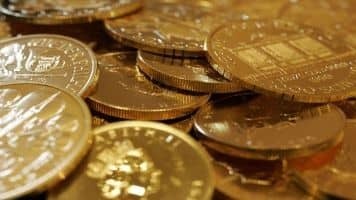 In India, the Securities and Exchange Board of India (Sebi) had earlier notified that the gold held by a gold exchange-traded fund scheme shall be valued at the AM fixing price of LBMA in US dollars per troy ounce for gold having a fineness of 995.0 parts per thousand which will now be LBMA Gold Price. Moreover to conclude the key takeaways for the gold investors is that the new gold price mechanism launched on March 20th, 2015 should bring more transparency to the market. It may also strengthen the gold prices. It will rather not cause a parabolic spike in the gold prices, however it may provide a long-term support by ensuring larger transparency and stability and, thus, giving a reason to the value-oriented investors like you to own gold as it is also one of the good portfolio diversification tools and thereby helping you to reduce overall portfolio risk.